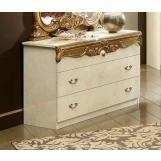 This Panel Bedroom Set offers a perfect way of bringing a classic European design to your traditionally decorated bedroom. 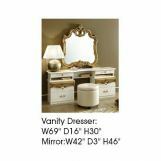 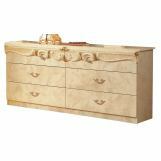 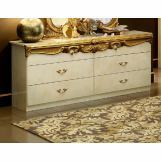 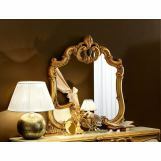 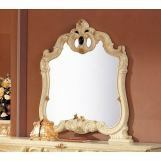 The standard set is composed of a bed, two nightstands, your choice of dressers and a decorative mirror. 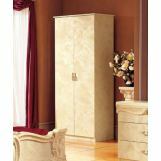 The optional man's chest and 4-door wardrobes are available for order at any time at your convenience. 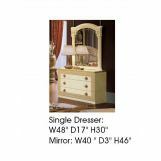 Straight panels are in chipboard, then veneered (veneer being a thin layer of solid wood); then the veneers are lacquered using a 6 steps/layers of UV high gloss polyester lacquer. 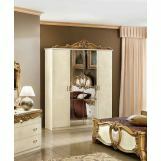 Manufactured according to European and international standards.